Historically, it has been our practice to supply full Certificates of Conformance with shipment of our Military Specification and Commercial products free of charge when requested at the time you place your order with us. Due to the substantial time and labor costs involved in testing, managing, and supplying detailed product information, we find it necessary to begin charging for certifications. 08/08/2016 Congressman Joe Courtney Visits Loos & Co., Inc.
Loos & Co., Inc. has announced that they are the first business to be selected to participate in the Quiet Corner Innovation Cluster (QCIC). The QCIC was created to enable economic growth in rural Eastern Connecticut, otherwise known as Connecticut’s Quiet Corner. The Jewel Wire Division of Loos & Co., Inc. announces the expansion of its sales team with the addition of a new Inside Sales Representative, Adam Brindamour. We are pleased to announce the achievement of AS9100 Rev C Certification for Loos & Co., Cableware Division. AS9100 is the internationally recognized Quality Management System standard specific to the aerospace, aviation and defense industries. Loos and Company’s Medical Technologies Division, a leader in stainless steel wire and cable technologies used in medical devices, has received ISO 13485 certification for its quality management system. Effective March 31st, 2016, Loos & Co., Inc will be discontinuing our Knitted Wire Mesh product line. We have determined that this product no longer fits with the broader mix of products and capabilities that we will be continuing to offer. With this in mind, we will continue to support our customers and all open orders as we complete this transition. Loos & Co., Inc. has launched its new medical website featuring all of the highest quality products available in the advanced medical equipment market. We are saddened to announce the passing of our colleague and friend, Michael Mayo Wallace on September 15, 2015 at his home in Glastonbury, CT.
Loos & Co., Inc. has announced new roles for two of their distinguished sales staff. Michael Wallace and Robert Davis have been recently promoted as Loos and Company continues to structure themselves to better serve their customers. Loos and Company has hired 5 new sales representatives to support customers in various territories and specific markets. Loos & Co., Inc. has launched its new website featuring all of the highest quality products they have been manufacturing for the past 50 plus years. 03/12/2015 The New Face of Jewel Wire - A Division of Loos & Co., Inc. 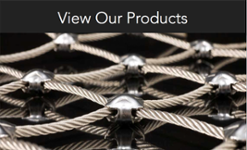 When you hear the name Jewel Wire, you immediately think “The Gem in Brushwire.” Jewel has been manufacturing custom brush wire products for over 60 years, and in that time we have seen a lot of changes. With the retirement of Sam Dixon several years ago, we entered an exciting new era as a division of Loos & Co., Inc., merging the talents and expertise of the two companies. 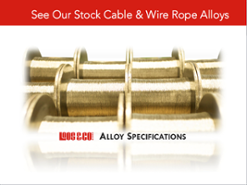 Loos & Co., Inc. has commissioned a new, state-of-the-art wire drawing machine capable of producing medical grade stainless steel wire from as large as .100” to as small as .014” in diameter. The equipment, manufactured by GCR of Milan, Italy, was purchased specifically to expand the company’s capacity to produce the high quality performance and surface finish required of stainless steel medical wire. Loos & Company, which fully incorporated the administrative processes of Jewel Wire last year, is now officially merging the contact information of the two companies. 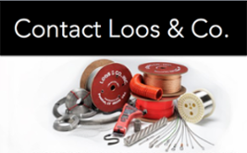 In the coming weeks, Loos & Company customers can expect to see cable products arriving on reels with a new design. After a long and storied history shipping aircraft cable and wire rope on solid red flanged reels, the company has decided to make an update.